More and more churches are offering gluten-free Communion bread, but not all bishops are on board. A handful of churches in South Carolina are offering parishioners the option to have gluten-free bread during the Holy Communion, but the Vatican says gluten is actually a necessary part of the sacred ritual. The new offering has since sparked a debate among those who suffer from gluten intolerance and certain bishops. 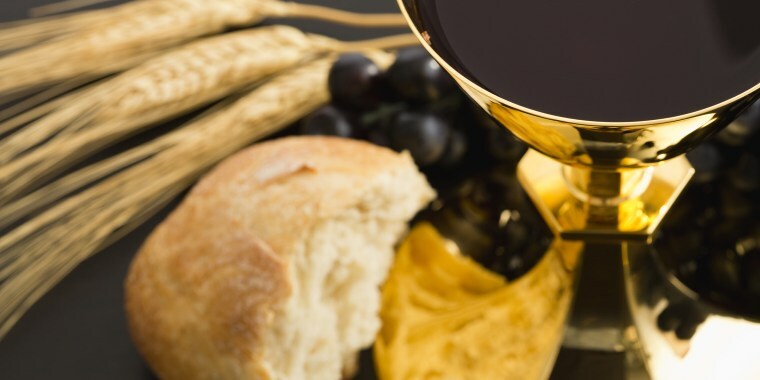 St. Stephen's Episcopal Church in Charleston, South Carolina, recently began serving gluten-free bread during services, The Post and Courier reported, so members diagnosed with celiac disease could receive Holy Communion with both bread and wine. Celiac disease is an immune reaction to gluten (a protein found in wheat, barley and rye) that can be damaging to the intestines and causes unpleasant systems like nausea and diarrhea. For many of the approximately 3 million Americans who suffer from the disease, it is a challenging road that requires carefully monitoring everything eaten (and gluten happens to be in a lot of products). “It’s an easy enough gesture to do to extend a hand of welcome,” Rev. Adam J. Shoemaker, who serves as rector at St. Stephen’s Episcopal Church, told The Post and Courier. Holy Communion, or the Holy Eucharist, is a Christian tradition where members of the congregation eat a small piece of bread or wafer along with a sip of wine to represent the body and blood of Jesus Christ. Cool! I have Celiac Disease and I appreciate our church offering gluten free communion. God bless! However, not all churches think gluten-free Communion wafers are a good idea. The United States Conference of Catholic Bishops confirmed to TODAY Food that nothing has changed on the Vatican's stance released this summer on types of bread provided during Holy Communion. The USCCB does approve low-gluten wafers created for those with gluten sensitivities, and provides a list of distributors around the U.S. One of these producers, the Benedictine Sisters of Perpetual Adoration, have been making low-gluten altar breads since 2004. Alessio Fasano, director at the Center for Celiac Research and Treatment at Massachusetts General Hospital in Boston, tested the low-gluten wafers and found that they contained less than .01 percent gluten content in 2004 and found that "someone diagnosed with Celiac Sprue Disease would have to consume 270 wafers daily in order to reach the danger point." In 2016, a new test showed the gluten content in the wafers was less than .001 percent. Andrew Menke, executive director of the Secretariat of Divine Worship, told TODAY Food that some parishes may be using these types of Vatican-approved wafers with minute gluten contents and calling them "gluten free," though St. Stephen's Episcopal Church could not be reached to comment on where they source their altar breads. Menke also said individuals with celiac disease are welcome to "receive the Eucharist under the form of wine only" should they be worried about a negative reaction to any gluten.